The foundation repair warranty is an important part of the relationship between you and your foundation repair company. It’s an agreement regarding what the company is responsible for if things go wrong at a later date. Of course, it’s important to recognize that not all foundation repair warranties are created equally. Even companies located in the same area can have quite different warranties since each company comes up with their own terms and conditions. If you’re in the market for foundation repair work, an important factor to pay attention to is what type warranty the companies you’re looking at have to offer. Bear in mind that some companies may not offer a warranty on their work at all. The most important thing to keep in mind when looking at warranties is that a warranty is really only as good as the company offering it. That’s why your first step in understanding warranties is taking a look at the company’s reputation. There are a lot of foundation repair companies out there that do not have good reputations and you should be wary of their claims. A lot of companies like to make a big deal about having a warranty but when you look into what it covers, it’s not actually that helpful. These companies also like to fall back on their warranties when things go wrong. Take for instance a small company that doesn’t do anything except simple crack repair. Since that’s all they can offer, they’re likely to try and sell you on a crack repair even if you have a much larger problem at hand. If it’s actually that you have a wall leaning and a more serious foundation repair needs to be performed, the simple crack repair won’t do anything to solve your problem. When the wall continues to lean and new cracks appear, the company will fall back on the fact that their warranty likely states they are not liable for larger foundation repair problems that are outside of their scope of work. This is a good reason to hire a multi-faceted company that offers a more complete scope of services in the first place. A company like this should be able to warranty all of the different services that they offer. There are many different terms for warranties that you should also be aware of. Some companies might offer a 10-year warranty whereas others may offer a lifetime warranty. But what you really want is a lifetime transferrable warranty—one that will still be effective even if the company goes out of business. At Adams Foundation, we are set up with a trust so that if our company ever were to go out of business, we don’t leave our customers high and dry. Most companies do not offer a warranty this comprehensive. With most foundation repair companies, if they go out of business, your warranty is null and void. Our warranty will cover problems, even if they occur down the road. That is, assuming that you don’t do anything to void your warranty. There are, of course, circumstances in which you could void your protection coverage. For instance, if we were to install foundation piers and fix your failing foundation, then any future problems would be covered by our warranty. However, if you continually allow your gutters to dump right next to your foundation, then that could be a cause for a voided warranty. At the end of the day, there’s no question that a warranty can be a valuable asset. That’s why you want to choose a company that offers one which is both comprehensive and effective. Don’t wind up with a company that uses its warranty as an “excuse.” Instead, seek out a company that offers a warranty that truly guarantees their work for their customers’ benefit. 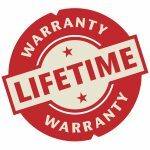 A foundation repair company with a great reputation—and nothing to hide—will likely be willing to offer a great warranty like this. At Adams Foundation, it’s something that we pride ourselves on. Check Out Adams Foundation Repair Weddings Here! Should I Buy a House with Foundation Repair Problems?